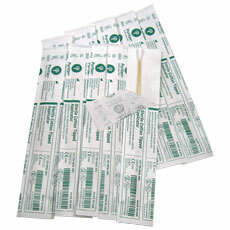 Pack of ten individually wrapped, sterile swabs for bacteria collection and transfer. 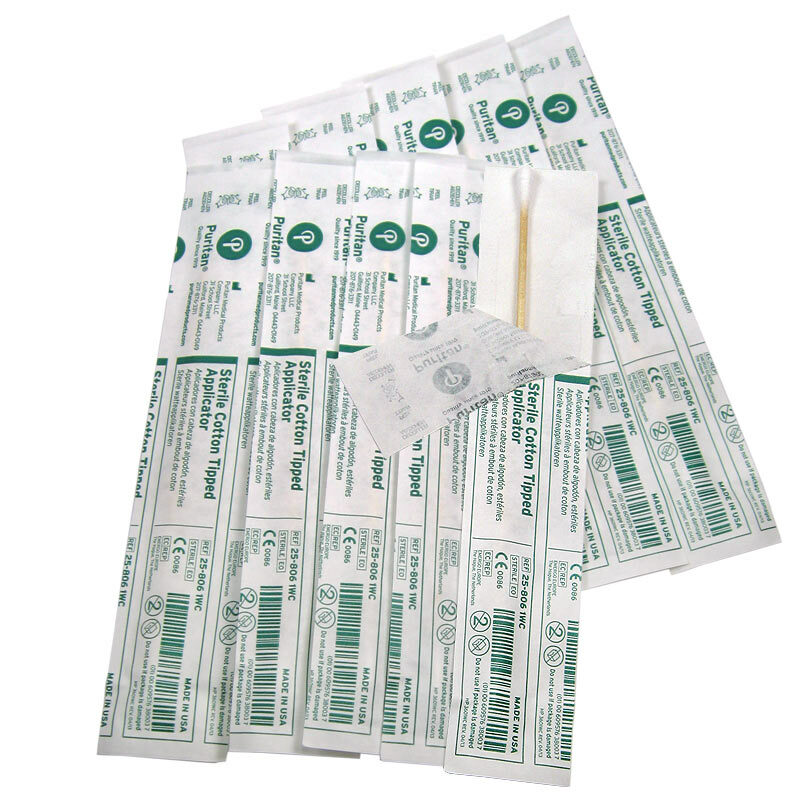 Each sterile swab has one cotton tip on the end of a 5-3/4 inch long sturdy wooden stick. 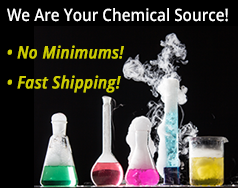 Each individually packaged in an easy peel-away paper wrapper. Sterile swabs are used to implant bacteria onto a growth medium such as prepared agar petri plates.